Who is to blame for excessive administration costs in humanitarian aid? An East Africa-based journalist writes me with an interesting question. An new NGO is trying to harness a firm’s distribution network to get humanitarian aid to children. A question. [The NGO] were unable to receive the grant direct from [the donor] so had to find an ‘accountable body’. For this service, they were quoted 17% of the project’s budget – by a UN organisation. Can you relate fact or opinion on that at all? [The NGO] eventually found that [a pan-African governmental body] was able to provide the service for free, with additional benefits. But UN, World Bank etc. apparently make having an accountable body to channel funds a very costly thing. I’d be extremely grateful if you have time to share thoughts. My opinion: 17% is an unfortunate expense but a rather common rate for administration, and even low by many standards. It’s a requirement driven not so much by the multilateral donors, but a consequence of the fact that the giving public and governments have close to zero tolerance for misuse of funds. This drives a Byzantine and expensive accounting system which partly reduces risk of misuse, and partly gives the multilaterals cover (“we did the best we could”). This discomfit with misuse gets amplified by the press who tend to tend to report on graft and mismanagement more than success. So the root cause is the failure of the public and donors to think about the high cost of extreme accountability. It would be nice of the donors could take a sensible stand against this silliness. I’m not sure they are terribly concerned, or even cognizant. Surely it has occurred to some, but (in my experience) cost-effectiveness is so far down the list of most NGO and donor priorities it may as well be left off. Thoughts from the NGO and donor world? We have a similar indirect rate. While I agree that part of the problem is maintaining the elaborate accounting and reporting systems, there is another side to it as well. USAID and other donors have a rule that no other donor can be given a lower indirect rate than they pay. Therefore, if it costs us 17% in indirect costs for a USAID project, we cannot afford to take on any other work at a lower rate or we would have to give USAID the same lower rate. Most people do expect a ridiculously low administrative rate. A stellar administrative system and team can be priceless, to say nothing of pricey. I’m sure most of the public has worked with both bad and good administration in their own careers. Don’t they realize it is both hard and costly to get right? 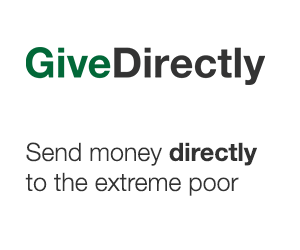 Some donors pay overhead rates that are too low for the given project (overhead can vary dramatically project to project), so NGOs can try to compensate for this by charging an overhead rate that is larger than needed for other projects, even if merely acting as an accountable intermediary. Not sure if this describes this particular case. As much as I love pinning blame on a “who” — you’re pointing to an inherent tension between the drive to reduce overhead versus increase accountability. Both are seen as inherently good things, but they work against one another. We don’t discuss those required trade offs enough. All good points, but I prefer to look at it a different way. All of the money in the world won’t solve our problems if there is not the willpower and knowledge to make sure any assistance is build upon and improved and lasting. So, since money is power, and donors are seen as powerful, I think we should ask whether donors should be prioritising cost-efficiency or accountability… in terms of lasting benefit and being a good example for the people being served. If cost-efficiency is the more important moral imperative, then probably staff salaries, comfortable hotel stays and the like need to go at all all levels before worrying about a 17% ICR rate. If accountability is the priority, then it should be worth however much it costs. Thanks, Chris for starting this discussion. 1. I fully agree that cost-effectiveness (it used to be called efficiency) is nowhere to be found. In Humanitarian aid it is seen as a curse, in development most practitioners even find that the results agenda is a craze. A system that selects interventions based on the cost/benefit would drive administrative costs down to an optimal level. In development, we don’t even have a real results agenda. The objectives are blurred at best. In humanitarian assistance, the Sphere standards could be a starting point. 2. The need for accountability. Like with tender procedures, I notice that in nearly every case you can argue that a knowing actor could work faster and cheaper by simply buying according to their conscience. However, nearly in every case I encounter where the procedures were ignored, friends & family were profiting and goods were not delivered as they should. The current level of accountability required is sometimes ridiculously high, but in general still too low on results. Averages hide quality and deviation. Moreover, quite often evaluations and audits are not part of the admin overhead, but part of the direct project costs. 3. Anyone who has been analyzing budgets knows that the line between admin costs and the rest is blurry. I would challenge the notion that admin costs pay mostly for accountability measures, but in some organisations this might be the case. I would say that we don’t know what this money is used for. Within the general picture, we don’t even care too much, it is mostly at the discretion of the organisation. This is not wrong, but it is a risk. Taking a leaf from the Dictator’s Handbook, we could expect it to be used for raising the salaries of management and strengthening the position of the CEO. This is, as always, a very senstive topic. Sweden tried to shed some light on the area by commissioning a very interesting comparative study on indirect support costs (ISCs) in 2008 – covering both UN and NGO ISCs. This study not only shows the difference in ISC rates between organisations, but also shows what types of expenses those organisations use the ISC to cover. http://www.devinit.org/wp-content/uploads/resource-docs/Development-Initiatives-report.pdf (an early draft only, couldn’t find the final report). Worth reading. However, I am not convinced that high ISC rates are anything to do with a changing risk tolerance amongst donors or UN and NGO actors. There is certainly scope for better contextual risk analysis and better prioritisation of humanitarian aid to meet the highest risks to life and livelihood (and away from this supply-driven concept of “need”). We need also to look more closely at programme risk – what is the risk that our programmes cause harm or do not meet their objectives? How do we manage these risks? And in doing so we could move to a better balance in our attitude to risk – which today is skewed towards the things that affect us – instituational risks like corruption, fraud, security, reputation risk – and is much less about the things that affect the populations we aim to protect. Some interesting reading from a 2011 OECD study here http://www.oecd.org/dataoecd/0/17/47672264.pdf and more to come from the OECD this year. Interesting stuff.